The Sudanese and Ethiopian Defense Ministers have expressed commitment to resolutions of the recommendations of the joint technical committee for safeguarding the sovereignty, security and stability of the common border areas. Speaking at a joint press conference the two ministers held earlier this week at the Sudanese Ministry of Defense in the end of the 14th session of the joint technical committee, Sudanese Defense Minister Lt. General Awad Mohamed Ahmed Ibn Ouf (photo) stressed the strategic relations between the two countries particularly in the military field to maintain the border security and stability. 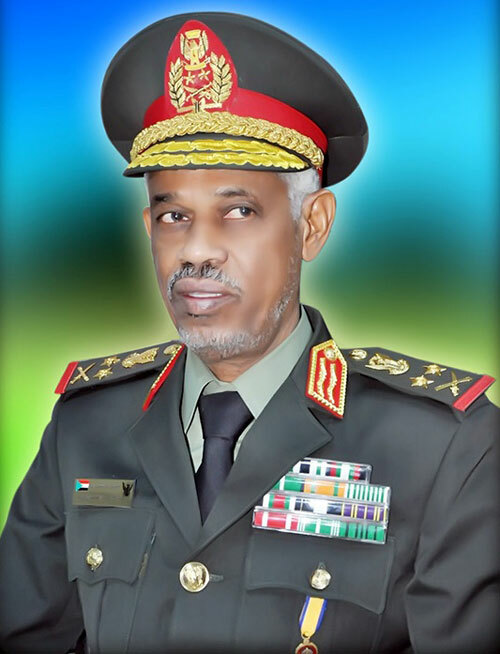 The Sudanese Defense Ministry is prepared for a joint action with Ethiopia, through committees or a joint military force for paving the way for the development of the border areas for the interest of the peoples of the two countries, said Ibn Ouf. Ethiopian Defense Minister Siraj Fegessa said at the press conference that his country is also committed to implementation of the resolutions of the technical committee. The meetings assessed the common needs to serve the interests of the two countries, Fegessa said. He noted that safety prevails now along the common borders, thanks to the joint security efforts, adding that the two sides agreed on exchange of military experience and training.